These days you can transfer files from one device to another easily with many ways like with USB cable, via Bluetooth and via wireless. USB cable and via Bluetooth takes the time to transfer files from one device to another. Wi-Fi takes very less time to transfer files from one device to another. To transfer files with Wi-Fi, you need a small freeware named Shareit. You can download it from Windows Store. Further, I will guide you to How to use Shareit to transfer files from one device to another. This application does not require USB Cable to connect one device to another. You need to download Shareit from Google Play Store to your Android smartphone and from web store on your PC. Shareit is compatible with Win 7, Win 8, and Win 10 operating system. Internet connection is required to download and install Shareit. Shareit uses Wi-Fi connection to transfer data from one device to another, that makes it faster than other methods. This application takes very less time to transfer big files. You can backup your Android smartphone with the help of Shareit. 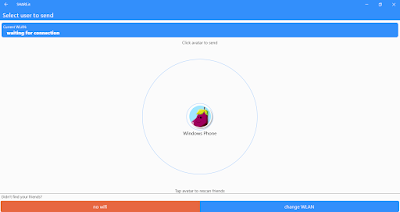 You can transfer data once installation of Shareit is completed with both devices. Both devices should have Wi-Fi enabled. Shareit application is also available for Iphone and Windows phone. You can now transfer files from Android or Iphone or Windows phone to Windows PC. 1. 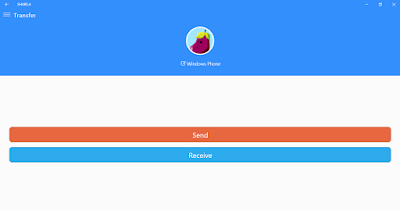 Open Shareit on your PC. It will search available devices within the network. 2. It will select a destination folder where files will be stored and will give Hotspot a name automatically. 3. To connect Shareit device, click on icon. 4. Next, this will open a QR code scanner window. 5. Now, open Shareit on your other device to connect. You will find Send and Receive window. 6. Further, click on Send from which device you want to transfer and press Receive to which device you want to send files. 7. Now, it will take you to files selection section. 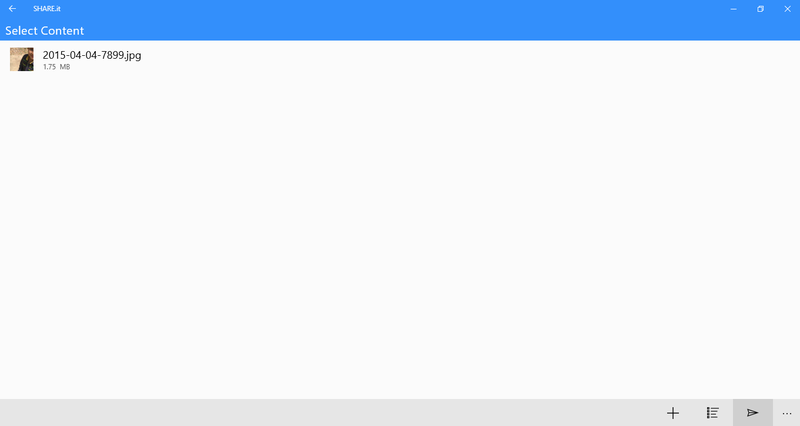 Select files, which you want to send and click on send button. 8. It will search available devices to connect. Select when you get your device. 9. Now it will show “connecting to Hotspot-…….” from the sender device. You will see a request on the receiver end. 10. Click on accept on the receiver end. If, you want to connect via QR code then, click on “Scan to connect” from your smartphone. Then, open your camera and focus on QR code available with your PC. Your both devices will be paired after completion of scanning. Now you are ready to transfer/receive files from one device to another. 1. Which is the longest bridge in India? भारत में सबसे लंबा पुल कौनसा है? 2. Which is the tallest minaret in India? भारत में सबसे ऊँची ईमारत कौनसी है? 3. Which is the biggest mosque in India? भारत में सबसे बड़ी मस्जिद कौनसी है? 4. Which is the largest temple in India? भारत में सबसे बड़ा मंदिर कौनसा है? 5. Which is the largest sand desert in India? भारत में सबसे बड़ा मरुस्थल कौनसा है? 6. Which is the longest river in India? भारत में सबसे लम्बी नदी कौनसी है? 7. Which city of the Uttar Pradesh has the Taj Mahal? ताजमहल उत्तरप्रदेश के कौनसे शहर में है? 8. Where is Dalhousie Hill Station located in India? डलहौज़ी हिल स्टेशन भारत में कहाँ स्थित है? Windows 10 comes with many options in mouse cursors. They can be changed with their Shape and Size, Their Black and White cursor are also good. But if you are interested in something different than Apple's Mac mouse cursors are available in market to satisfy you. Now I will show you how to install MAC EI Capitan cursors in Windows 10. Following steps will help you. Step 1. Go to http://in-dolly.deviantart.com/art/Updated-ElCapitan-cursors-593804414. Step 2. Now click on Download link which is in the right corner of website, When this Zip file completely downloaded, now open that Zip file using WINRAR, or locate the file and right click. Now select Extract All(if you have WinRAR installed in your device). Step 3. After that select location, where you want to install that file on your Device.